We can help you with Life Insurance Approval with Heart Bypass Surgery! Have you been declined for life insurance due to Heart Bypass Surgery? At High Risk Life Insurance Agency, we specialize in helping individuals with a history of coronary artery disease. Can I Qualify for Life Insurance if I have Heart Bypass Surgery? Yes, most individuals with Heart Bypass Surgery will be able to qualify for traditional life insurance, the type of insurance which requires a medical exam. 1. When was your Heart Bypass Surgery done? The best rating for a recent Heart Bypass Surgery that was done six months earlier would be a “Severe Substandard” since these cases can be considered unstable. In fact, some cases that pose a high risk for complications may get a decline. 2. Did you have any complications after your Heart Bypass Surgery? 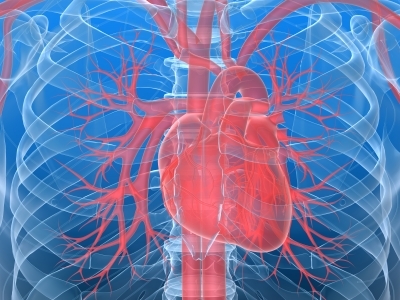 Complications after a Heart Bypass Surgery include bleeding, tamponade or stroke. The best rating that can be given to these cases would be at a “Severe Substandard” rating or worse, a decline. Emergency Heart Bypass Surgery due to a heart attack is not a very good case and may get an automatic decline. 4. Are you taking any maintenance medications to control plaque buildup? A yes answer is good and means good control of the condition where recurrences are significantly decreased, but a no answer after a Heart Bypass Surgery is bad and may be a sign of non-compliance and may get a decline. 5. What health practices do you do to prevent another blockage to your heart? Lifestyle changes like low salt and low cholesterol diet, regular (doctor recommended) exercise and less stressful environment can significantly decrease the incidence of a blockage recurrence. 6. Do you have any of these lifestyle risk factors? Lifestyle plays a huge role in the management after a Heart Bypass Surgery to prevent complications. Risks include smoking, poor diet, no exercise, alcohol, stress and obesity. By adding any of these risks, you compound the heart problem and become a higher risk candidate. Heart Bypass Surgery, also called coronary artery bypass surgery, aortocoronary bypass or coronary artery bypass graft is a surgical procedure to correct/remove blockages from the arteries or veins. It immediately relieves angina and treats myocardial infarction, which significantly reduces the incidence of death. The surgery is performed by using arteries or veins from other parts of the body and then grafted to the heart structure. Heart Bypass is a high risk surgery that requires a cardiopulmonary bypass to stop the heart function while the procedure is performed. This surgical procedure is common for cases of myocardial infarction, diseases of the three coronary vessels or diseases of the left main coronary artery.